Ignition Interlock Program and Your Options After Being Charged with a DUI – Lessans Praley & McCormick, P.A. One of the more common traffic/criminal matters our firm handles are driving under the influence (DUI) and driving while impaired (DWI). Being charged with a DWI or DUI carries both criminal and Motor Vehicle Administration (MVA) consequences. The Motor Vehicle Administration has the power to suspend or revoke your license. Driving under the influence is most commonly charged when you are alleged to have operated a motor vehicle on Maryland roadways with a blood alcohol concentration between .08 and .15. Under Maryland law, if you are charged with a DUI you may either request a Maryland Vehicle Administration hearing or elect to participate in the Ignition Interlock System Program. The paperwork to request either of these options can be found on the reverse side of your Order of Suspension. An ignition interlock is a device that connects to your vehicle’s ignition system. The device is a breath analyzer that measures a driver’s alcohol concentration. To start the vehicle, the driver must blow into the device and register a blood alcohol content of under .025. If the interlock registers a higher alcohol content than .025, the vehicle will not start. Under certain circumstances, you may enter the Ignition Interlock System Program without having an MVA hearing. Potential participants should note that installation and upkeep cost of the device must be paid by them personally. If a driver requests an MVA hearing, an Administrative Law Judge (ALJ) will review your license suspension. A driver has 30 days to request a hearing. If the driver waits 30 days to request a hearing, their license may be suspended prior to the hearing date. In order to avoid this suspension, a driver should request a hearing or enter the Interlock Program within 10 days of the traffic stop. If the driver neither enters in the Interlock Program nor requests an MVA hearing, their license will be suspended after 46 days. At the MVA hearing, the ALJ will consider a limited number of factors surrounding the license suspension and traffic stop. An attorney may accompany you to the hearing. A driver who is charged with either a driving under the influence (DUI) or driving while impaired (DWI) should consult an attorney immediately after the traffic stop. As seen above, time is of the essence when it comes to making decisions that could impact the status of your license. Our attorneys can help you review the paperwork from your traffic stop and assist you in making an informed, timely decision. 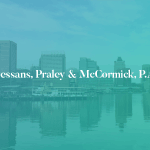 Call 410-760-5000 or click here to schedule a consultation with one of our attorneys.